We invite our customers to add as much streamable content as possible. Patient lectures. Personal welcome messages. Interviews. These are all ways to capture the attention and hold it. With the popularity of YouTube.com and other video sharing websites, this phenomenon isn’t going to go away! This short 4½-minute video addresses some of the worrisome myths that often stop people from beginning chiropractic care. They’re wary. They’ve heard stories. “Will I have to come forever?” “Do adjustments hurt?” “Do I have to be X-rayed?” The unscripted words of two dozen actual patients comfort, reassure and put potential new patients at ease. When shown in your office, it’s usually presented right before your report of findings. On your website, it’s a powerful 7-minute introduction to the supremacy of the nervous system, the three causes of subluxations, the effects of neglect and importance of following your visit recommendations. 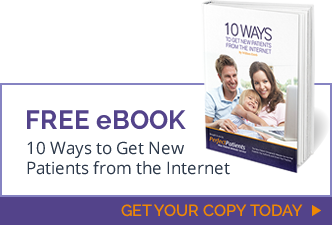 Encourage your patients to watch this 8-minute video when they start showing some progress. This is an unabashed “commercial” for wellness care, the value of chiropractic care for children and the responsibility to tell others. You’ll appreciate the fact that these topics are covered in a video for you!